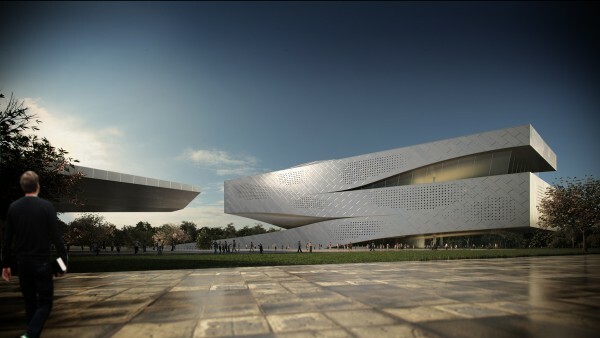 Dalian Public Library was competition entry for 10 Design architecture firm. 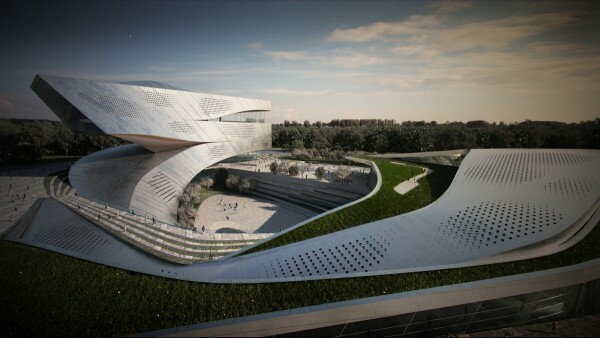 It was proposed for Dalian, China. 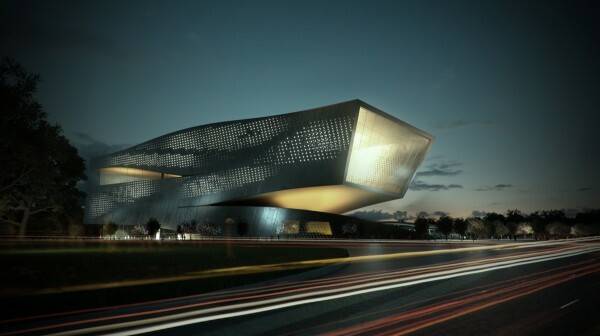 Amazing modern architecture, gravity challenging shape and good architectural engineering are things that make this project more than interesting. 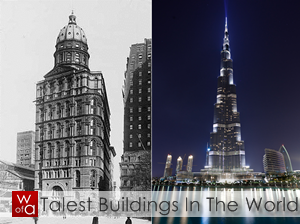 The building itself was planned to be 39m tall with 6 public floor above ground and 2 underground. The space supposed to be filled as a library and media center. 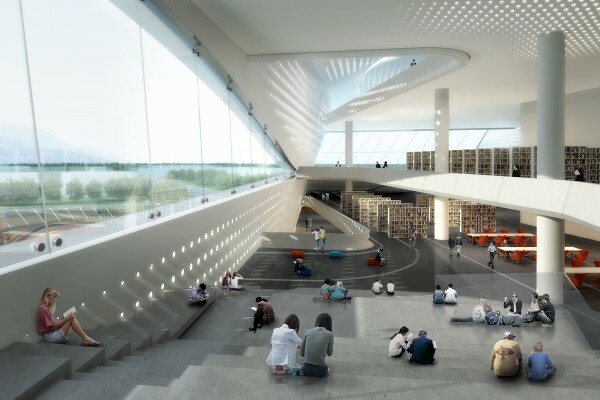 "The library is intended to be a transformative environment that pulls visitors into a unique landscape. 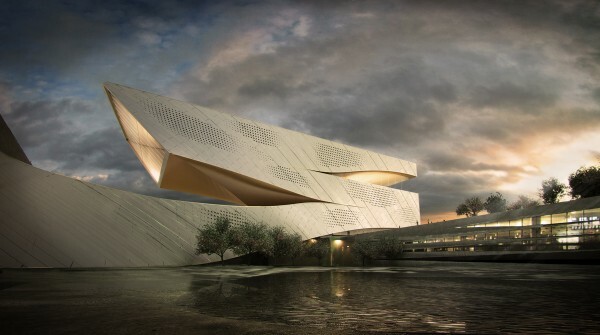 The building weaves into the ground creating a series of courtyards and topographic undulations- rooting itself, and then sweeping up into the air forming a bold urban landmark. 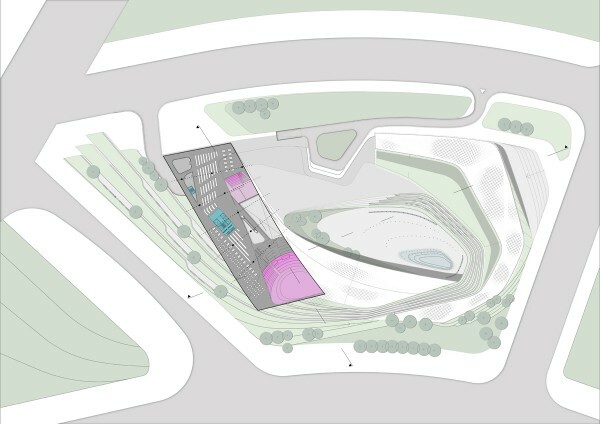 The shifting of the mass creates spaces ranging from the intimate spaces for reflection in the courtyard to the dynamic and expansive views offered from the tower volume. 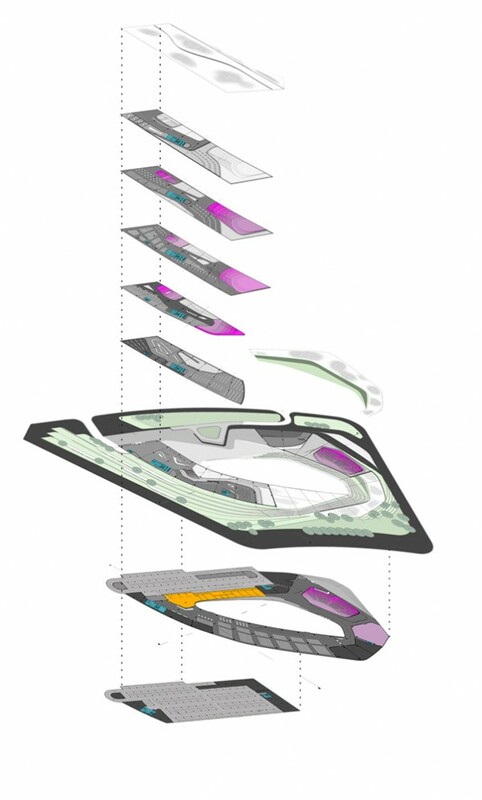 The tower volume has a series of internal voids and terraced spaces to further enhance the variety of spatial conditions and to provide internal connectivity. 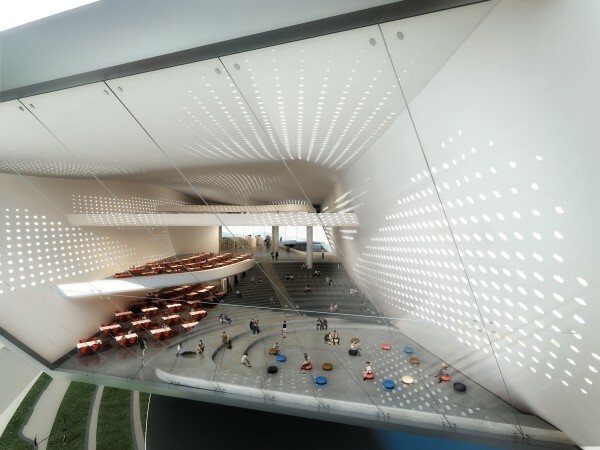 A series of retail functions including cafes will help draw a larger audience to the library. A large media center that shares the central drop-off can be used after hours and function independently. The façade of the library is a dark grey brass that will develop a beautiful patina over time. The metal skin will have a natural resistance to the marine conditions and harsh weather. The smaller voids in the buildings mass will use an anodized aluminum brass alloy to remain vibrant and colorful as the rest of the building transforms with time."